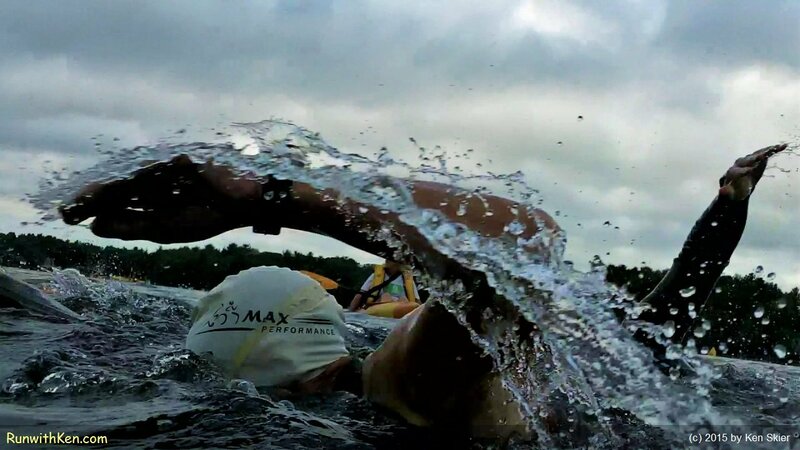 Open Water Swimming can be a lot like bumper cars! ...and every swimmer reaches and pulls to glide through that slippery lane! I took this photo at the 2015 Sharon Triathlon in Sharon, MA. (Yes, I was swimming at the time. The 2017 Sharon Triathlon is Sunday, August 13 in Sharon, MA. The weather will be warm! The water will be cool!